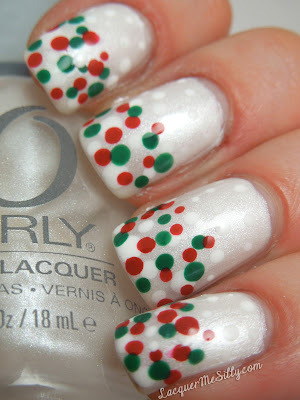 Frosso from Lacquer Me Silly is here today to share a gorgeous holiday-themed dotticure with us! I'm a sucker for a beautiful dotticure, and hers is gorgeous! Hey all my fellow Nails Like Lace fans! I’m excited and a little nervous to be doing my very first guest blog post! I’ve been following Amber for quite some time and Nails Like Lace is one of my regular blogs I visit, as some of you may recognize me from the comments section. I always enjoy the creative nail art and techniques Amber does so I’m hoping this post lives up to the Nails Like Lace name! My first attempt at nail art was when I bought my trusty set of dotting tools. I’ve expanded a bit since then, but dotting is always my favorite especially since I do pretty basic nail art. Since everyone and everything is in full on Holiday mode right now I did a basic red, white, and green dotticure. 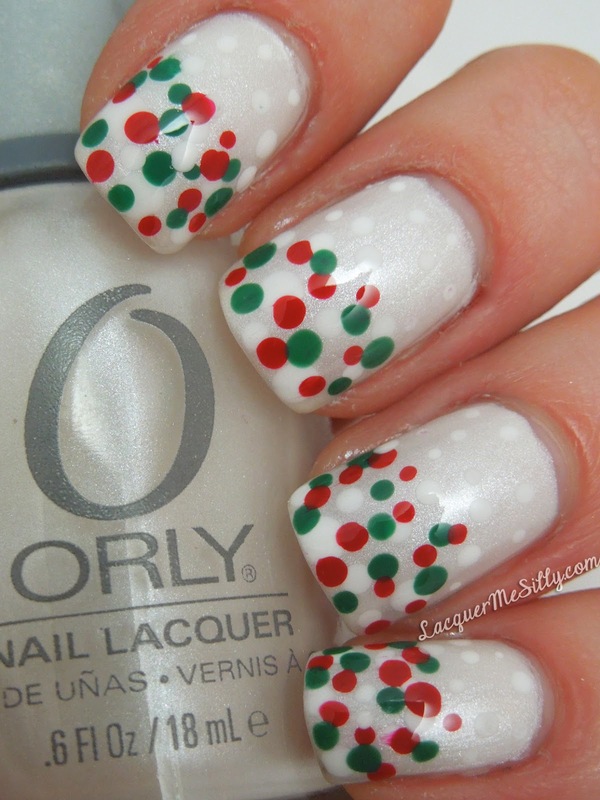 I applied 2 coats of Orly Au Champagne and once that dried I dotted away from the tip of my nail toward the cuticle using different sized dotting tools rotating between colors. 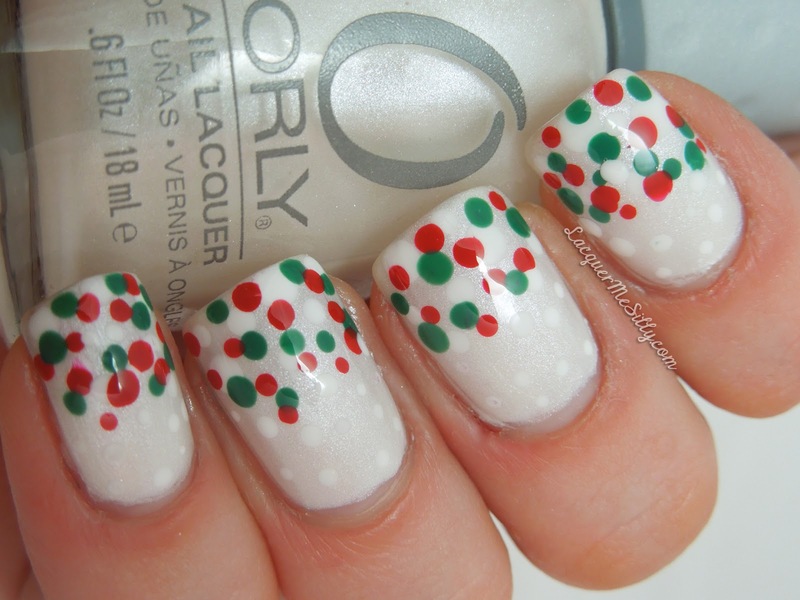 I filled in the upper part of my nail with just white dots for an almost gradient look, but not really. Once it was dried I topped it off with Seche Vite fast dry topcoat. Thanks everyone for sticking around to read my guest post, I hope you enjoyed!